He was born in Hunan province of China in 1954. He received the B.Sc., M.Sc. and Ph. D degrees in electrical engineering from Wuhan University, Electrical Power Research Institute and Tsinghua University of China in 1978, 1982 and 1988 respectively, and then joined Tsinghua University. Now he is currently a chair professor of electrical engineering, associate director of State Key Laboratory of Power System Control and Dynamic Simulation and dean of School of Electrical Engineering, Wuhan University. His research experience and interests include: stability analysis and control of power systems, simulation technique, operational reliability evaluation, renewable energy and distribution system, power quality control etc. Dr. Sun has authored or co-authored over 100 research publications and also three books published by Kluwer Academic Publishers and Science Academic Publishers of China. 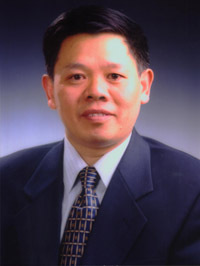 Dr. Sun is a senior member of IEEE and CSEE (Chinese Society of Electrical Engineering). He is currently serving as an associate editor of IFAC Journal on Control Engineering Practice, an associate director of Department of Electricity & Applied Mathematics, CSEE.